If you just started traditional wet shaving, chances are the historical aspect of it intrigues you. You may even find yourself searching the internet to find out how those in generations past started their morning ritual. A basic search will show you, there’s not much on 18th century shaving. While records were kept for many aspects of both American and World history, traditional wet shaving took a back seat. Wet shaving was a chore to say the least. Until now. This article has been created to help bring all this together. A “one-stop-shop” for information regarding 18th century shaving. This guide took many hours of research to find all the information possible for shaving in this time period. Although much of the information is proven, there are parts of wet shaving during this time that remain a mystery. The 18th century was a time for innovation and advancement. It was during this time period, when the American colonists began to self-suffice their grooming needs and started making their own soap. Up until the mid-1700’s they relied on mass shipments from Europe which were costly and time consuming. It took months for orders to make it home. The colonists soon found themselves innovating their own products. This saved time and more importantly, money. Most soaps from Europe were created from animal tallow and precious perfumes made in France. The colonists knew this, and found that using leftover animal fat from cooking as well as making their own lye solution from wood ash, they had the perfect ingredients for soap. Soon the orders became smaller and the new colonial soap became better. There is a great blog post regarding this subject. Check it out here. Floral scents which were made from flower, orange, rose, or jasmine oils which were very potent. Men’s and women’s scents were not very different from each other, and not nearly as potent as today. For more information check out this great blog article. It explains the different types of fragrances as well as the processes to make them. *Image from Perret’s Book “The Art to Shave Oneself” 1770. A Straight or Cut throat razor was the tool for shaving in the 1700’s. Most razors were sold to barbers and those with the financial means to own one. Razors were not cheap and most men did not start shaving themselves until the latter half of the century. Early 18th century razors were made by a steel forging process (cementation process) that was adopted from the Middle Ages. This process made razors a tad crude by today’s standards. They weren’t as sharp and the keenness of the blades were short lived. It wasn’t until 1740 when a new process of steel forging changed the game forever. Benjamin Huntsman, a watchmaker in Sheffield England, was experimenting with different processes to make a stronger steel for longer lasting watch springs. Until then, steel was produced in a crucible or large pot by heating iron and carbon material together, then forming the desired shape. Huntsman found that by heating up the material to much higher temperatures, created a stronger bong between the elements. He also found that clay crucibles worked much better than iron in heating the base element. Thus, “Acier Fondu” also known as cast, crucible and/or warranted steel (all of these terms were used at the time) was born. This steel was much harder which created a longer lasting edge “sharper” edge than previous razors. *Razor from a museum located in Plymouth MA. Believed to be owned by Myles Standish, I took this image while visiting in June. Although used widespread, Huntsman never patented the process leading it to be copied by many others. Cast (warranted) steel became widely used and was the new standard for razor production. Most razors of this time were produced in Sheffield England, Germany and Spain. 18th century razors come up in auctions here and there, but it’s very important to know what you’re looking for. Here are several razors that are confirmed to be from 18th century from my personal collection. *Some 18th century razors from my personal collection. *Brief video of me shaving with an 18th century straight razor. The razor honing process consisted of similar techniques and tools of today. From most of the literature available it seems that “Belgian Coticules” were the stone of choice as well as leather strops for maintaining the edge. For more information on straight razor honing please check this out! *The process of both honing and stropping demonstrated. There isn’t much information regarding shaving brushes for this time period. It is still extremely difficult to determine when they came on the scene. Some believe soap was applied to the face with a cloth in the beginning of the century, before barbers adopted brushes later on. Shaving brushes of the 18th century consisted of wooden, ivory or bone handles with knots of hair that consisted of either horse, hog or badger. Much like today, brushes applied soap to the face in order to exfoliate and lubricate the skin while shaving. There were a variety of handles, some large and decorative as well as some that were small and functional. You’ve probably heard of Rooney shaving brushes. Rooney is still in business from the late 18th century. These brushes are excellent performers and it’s not uncommon to own one for many years. Unfortunately most of Rooney’s records were destroyed in a fire back in 1886, so it’s unclear to know the actual start of the company. Sources point the earliest information from 1796 when they opened their first brick and mortar store, but some say the company was formed before that. The Old’e English Shaving Shop traces its roots to “The City of London Old English Brush Makers” company which was established in 1762. Now located in South Africa this shaving shop is one of the most beautiful brick and mortar wet shaving locations in the world. The company still has many of their soaps and other provisions made in the UK. One thing that’s really cool is that their soap recipe has been used for over 100 years! *The Old’e English Shaving Shop’s front lobby. There has been discussion that both Rooney and The Old’e English Shaving Shop brushes were made in the same place but there is no hard evidence proving so. Check them out here. The Gilded Hand or “The Vergulde Hand“ Netherlands. Check out my previous article on this company here. The oldest soap company still in business today, continually run for over 450 years. DR. Harris & Co.1790 London England. Farina Perfumes: 1709 Germany. World’s oldest eau de Cologne and perfume factory. Still family run. Check this out for more information. Rooney Shaving Brush Company: 1796. England. (no website available) The oldest know shaving brush company in business today. JA Henckels Cutlery: 1731 Germany. Oldest maker of straight razors still in business today. Caswell Massey: 1752. USA. America’s oldest apothecary shop. Pears Soaps: 1790. England. England’s oldest soap maker in business today. The Old’e English Shaving Shop: Origins from 1762. Relocated to South Africa but still owned by the same family. That 1700’s Show: A razor club in the popular wet shaving forum “Straight Razor Place”. Great source for pictures, information and some of the most knowledgeable guys in gals when it comes to 18th Century shaving. The Art of Learning to Shave Oneself: by Jean-Jacques Perret. A novel that was written in 1770 that explains the entire concept of wet shaving including the idea of the safety razor. He also wrote this book regarding cutlery and features straight razors. Hallamshire Cutlers: Book that lists many 18th century cutler’s from Sheffield England. 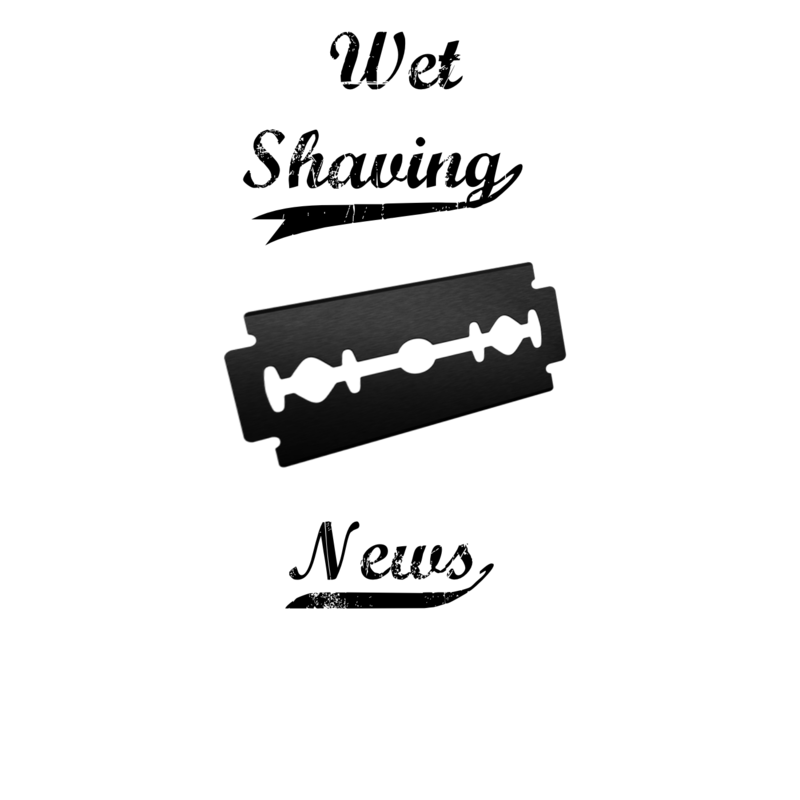 Ilrasoio.com: Forum that has tons of information regarding wet shaving in general. A great thread showcasing an article by Henry Lummus. November 7, 2016 in 1700's, 1700's Razor, 1700's Shave, 1700's wet shaving, 1700s razor, Evatt Straight Razor, oldest wet shaving, shaving, shaving brush, Shaving in the 1700s, Straight razor, wet shaving, Wetshaving. ← My Trip to the Art of Shaving Store in Boca Raton FL!! Loved this retrospective. I’m a safety razor guy thinking of making the plunge to straight. Suggestions for a razor to start? When starting out I would choose a razor that is “shave ready”. That means the razor has been honed by a professional and is ready to shave. The site whippeddog.com offers vintage straights that are shave ready and very reasonably priced. I’ve used them in the past and their customer service is second to none. It is also funny how the traditional shaving changes you. After switching to DE razors, I consider shaving more as a hobby, and it also got me interested in its history. How people used to shave in the old days. This Blog is Very informative and quality information you have given. I like your post. Keep sharing your creative ideas with us.